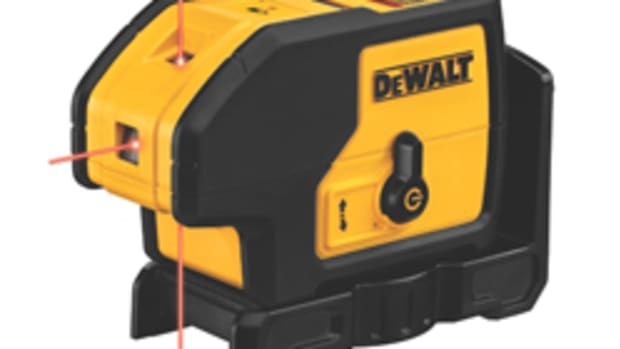 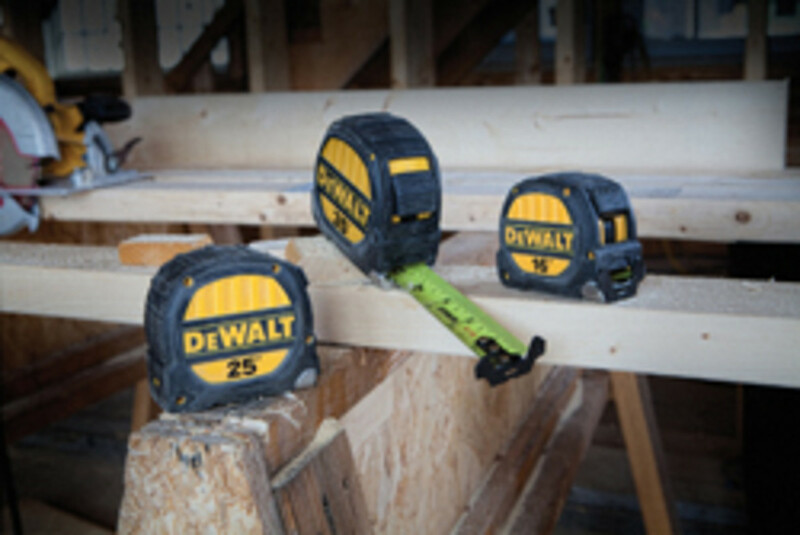 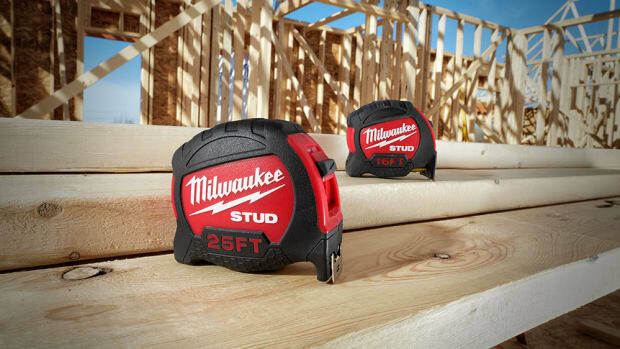 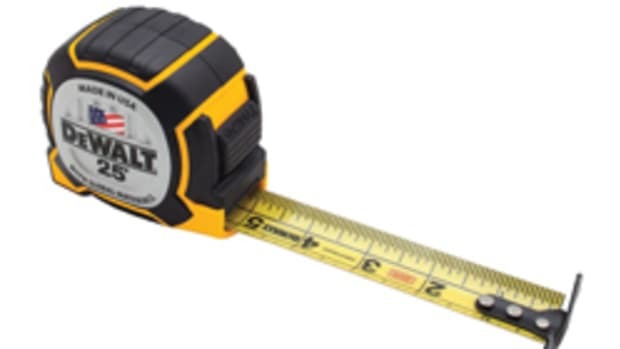 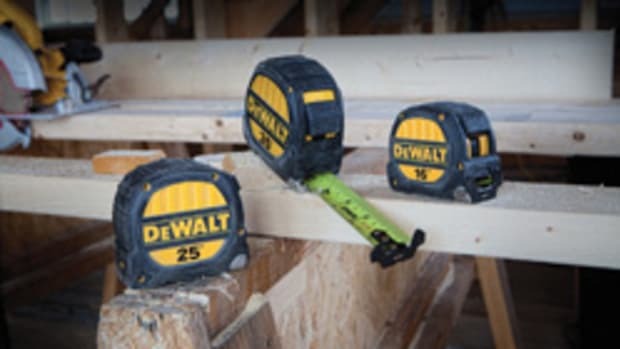 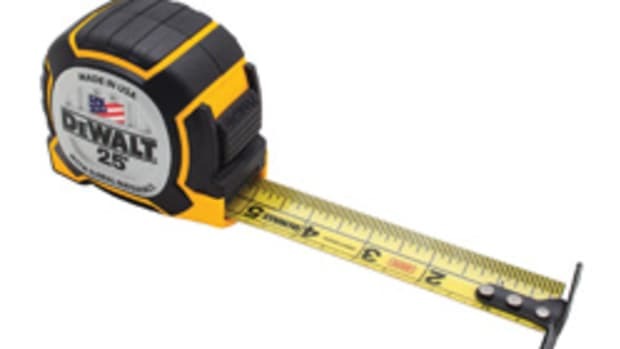 DeWalt introduced a new family of premium tapes measures, built to take a beating on harsh job-site conditions, according to the company. 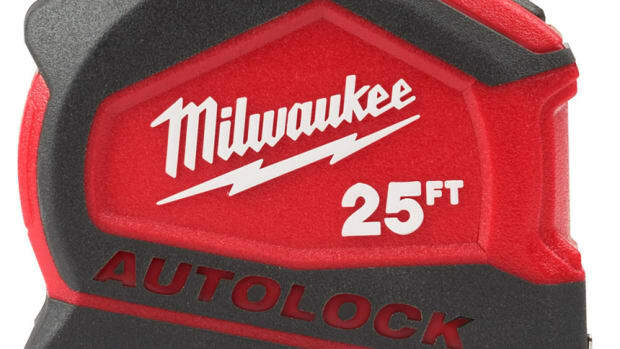 They include 16’, 25’, and 35’ models with a reinforced housing and cast metal impact plate to absorb shocks when dropped to protect internal components and the end hook. 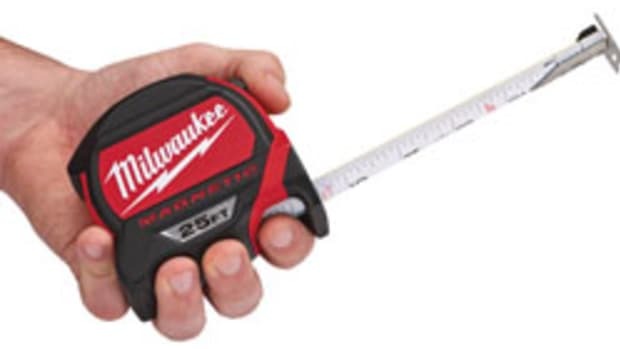 Rubber over-molding covers all contact points of the tapes for improved grip. 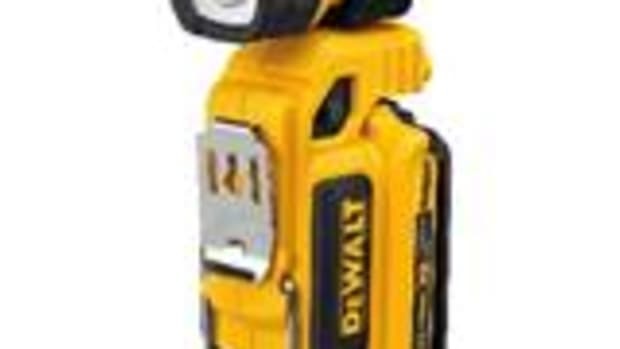 The tape blades are made from steel coated in Mylar polyester and feature an oversized end hook. 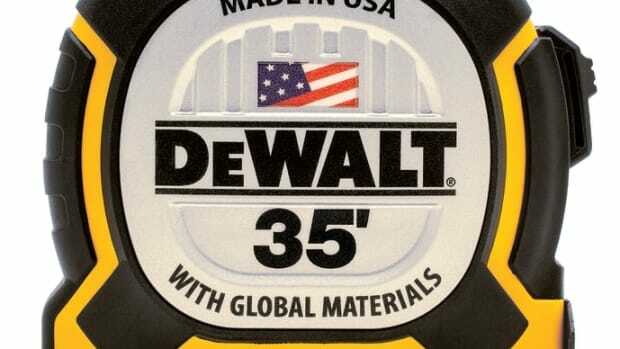 They retail for $20 to $35.